Diigo stands for “Digest of Internet Information, Groups and Other stuff.” It is a social bookmarking program that allows you to save your ‘favourites’ online, so that they can be accessible from any computer with an internet connection. However, Diigo does much more than this. As you read on the web, as well as bookmarking websites, you can also highlight parts of web pages that are of particular interest to you. 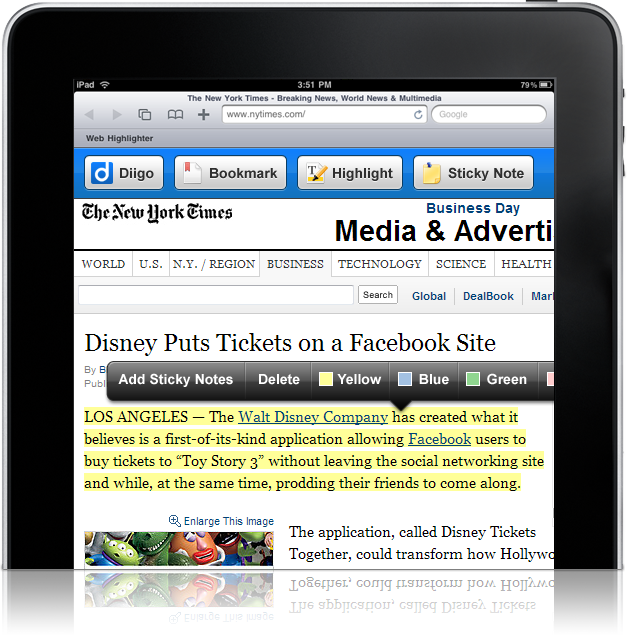 Or, you can attach sticky notes to specific parts of web pages. 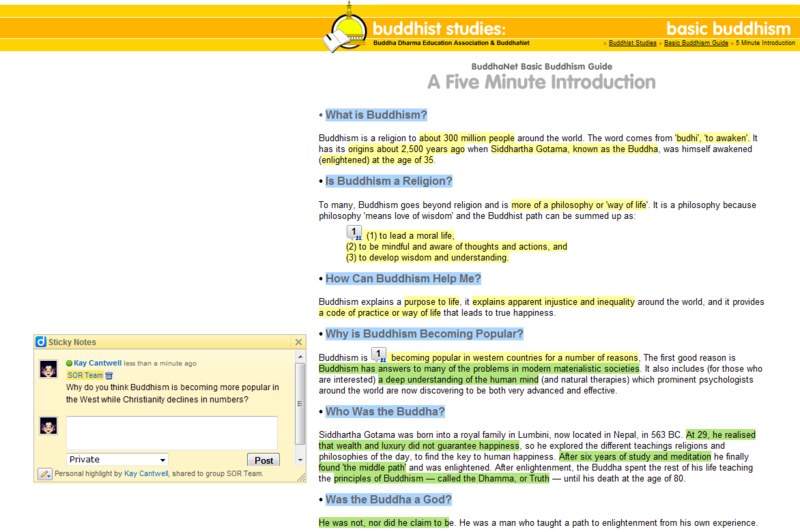 These highlights and sticky notes are persistent – whenever you return to the original web page, you will see your highlights and sticky notes superimposed on the original page, just what you would expect if you highlighted or wrote on a book! The ‘social’ part of the bookmarking program is also very useful. With every Diigo user tagging and annotating pages online, the Diigo community has collectively created a wonderful repository of quality content, filtered and annotated by the community, on almost any subject you may be interested in. For example, if you would like to find popular resources on e-learning, searching Diigo can probably get what you want in less time than using search engines, and you may also gain insights from other users. For more information, go to http://www.diigo.com/about , or dive right in and sign up. After reading the reasons here today, you will definitely be convinced of the productivity and time-saving power of this great online tool. So…onto the 12 reasons every teacher should use Diigo. Diigo provides a free, efficient, effective and reliable way to save and organise your favourite websites, online articles, blog posts, images and other media found online. How do I bookmark? Go to here for a short tutorial. 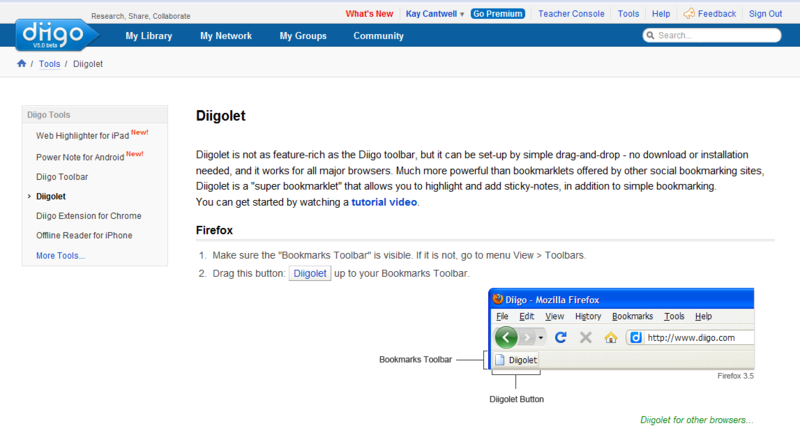 The first thing you need to do to begin bookmarking is either download the Diigo toolbar, or if you don’t want a full toolbar, download the Diigolet. 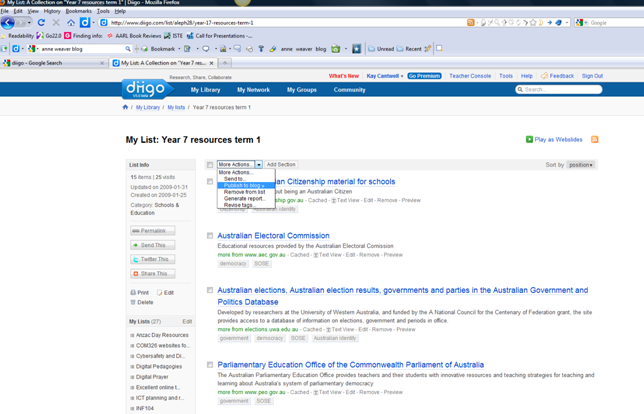 Diigo provides an outliners feature that allows you to share carefully selected bookmarked websites with your students. Adding bookmarks to outliners is easy. Check out this tutorial for a guide. 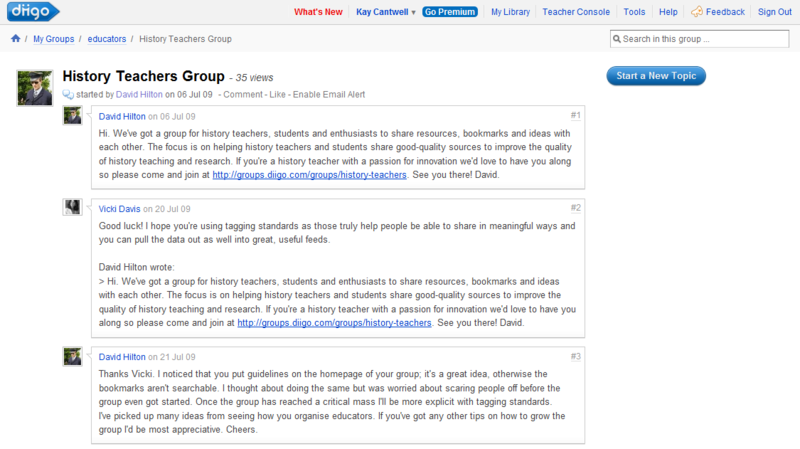 Diigo has tools that encourage students to collaborate with others to analyse, critique and evaluate websites. Diigo provides opportunities for students to apply higher level thinking skills while researching and gathering information.The table below is taken from Choosing Web2.0 Tools for Learning and Teaching in a Digital World by Pam Berger and Sally Trexler. Diigo allows you to gain access to the ‘collective intelligence’ of the internet.By joining groups of like minded users, you are automatically able to access all of the bookmarks that other members of the group have chosen to save. The many, many users of Diigo all saving to their accounts adds up to a lot of great websites identified, tagged and reviewed – much more than one single person could ever identify in a reasonable timeframe! Diigo allows you to develop your own professional learning network (PLN). 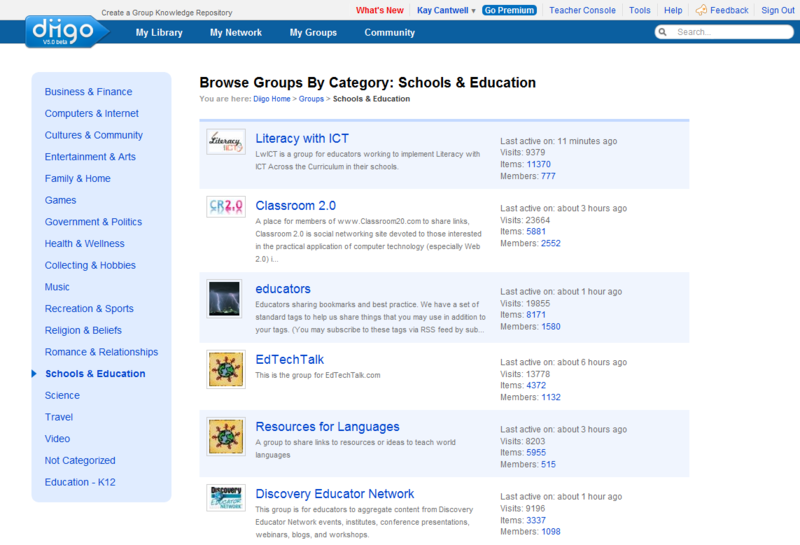 Diigo provides a forum for teachers and students to discuss areas of share interest, or a particular online website or resource using the ‘topics’ function within groups. Use Diigo’s advanced tools to link its power to blogs and RSS. 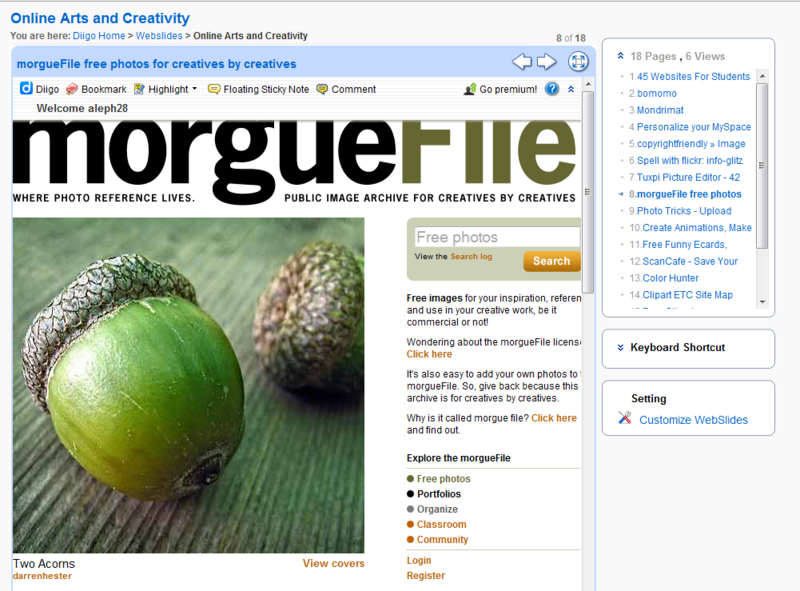 Lists of similar websites that you have created can easily be posted onto a blog by using the ‘post to blog’ button. 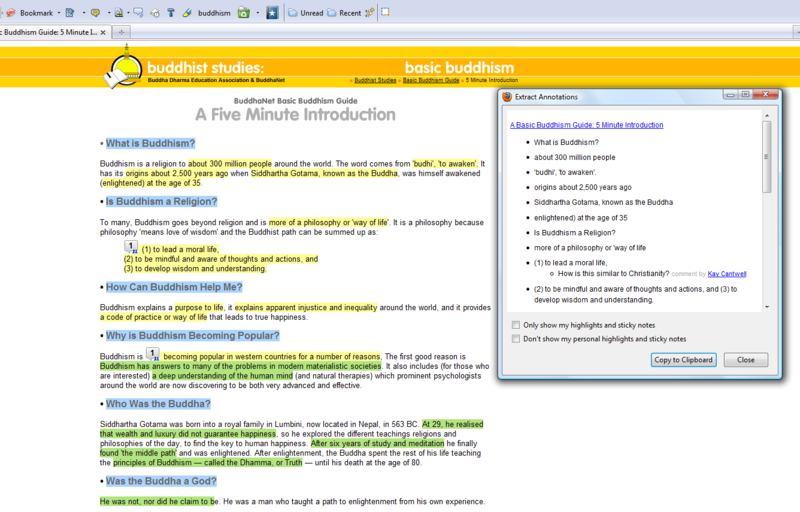 Use Diigo tools to enhance professional reading and save time creating summaries of online posts. Access your information from any computer, or even your iPhone or iPad! The free Diigo app can be downloaded from the iTunes store and you can be saving as you go! This entry was posted in Web 2.0 tools and tagged bookmarks, Diigo, information management, research, research tools, social bookmarking by ResourceLink Brisbane Catholic Education. Bookmark the permalink. A great post and an essential tool for educators with real potential in the classroom. Thanks for your post! You are v. quick off the mark!! Thanks Kay. Our students find the comment function and sticky notes powerful for helping each other with projects & homework out of school hours. That’s great to hear – I think that these tools would be very effective methods to beat plagiarism and encourage better note-taking and meaning-making. You’ve got to love Twitter! Diigo is really underrated; I have an account there but seldom use it…. until I read your post. thanks for it. I’m so pleased you found the post helpful! Thanks for taking Time to leave a comment AND most of all posting in the first place. to be a fantastic title to give this particular article. Exactly where may I learn even more about this? “12 Reasons Teachers should use Diigo | resourcelinkbce” was indeed a perfect post. However, if it included more images this would be even much better. Pingback: It's all about the ICT and Pedagogy EDC 3100 - Why we need to use Diigo? Just take it step by step- you don’t need to take on all of it at once! All the best, and thanks for reading! I’m taking a look ahead in your next post, I’ll attempt to get the hang of it! Try going back into the comment and I checking the box. Otherwise try WordPress help. I hope this helps! Usually researching the topic is enough to clear my mind! Thanks so much, glad you found it useful! So glad you found this post useful – thanks for sharing! Fabulous article. I have linked to it from http://www.classroom20.co.uk – from my new Diigo page. Thanks for sharing it! We’re so pleased you enjoyed it! Thanks for commenting! Thanks Max. What course are you doing? We are always interested to learn about the courses which are using our blog posts as resources or readings – it is so exciting to know how far our resources have reached! Unfortunately the Lists feature has currently been phased out of Diigo, replaced by ‘Outliners’ which are similar, and yet slightly different in format. Lots of people are suggesting Diigo bring back the Lists feature, which was well loved, and have Outliners as another option; stay tuned for an update on the blog hopefully soon! A lot of thanks for each of your work on this web page. Ellie really likes conducting research and it is obvious why. Most people hear all of the powerful tactic you give reliable solutions on this website and attract participation from other individuals about this area and our own daughter is actually being taught a lot of things. Take advantage of the remaining portion of the year. Your doing a splendid job.